Peppers come in a surprising amount of shapes – conical, elongated, thin, and curved are among the most prevalent. Here, though, we celebrate chilies that buck the trend. Round peppers, though, are more common than you may think, and they are well spread throughout the pepper scale. 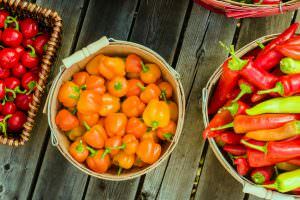 Some are truly ornamental peppers that catch the eye like Christmas bulbs, while others are culinary chilies that look more like an apple or tomato than a hot chili. Before we begin, let’s define “round” . What makes it onto our round peppers guide? Marble shaped, yes. Bulb-like shape, more rounded than cone, another yes. Tomato or apple-like shape, yes. Cone-like shape with rounded edges, no. We have the draw the line somewhere and the cone shape is it for us. 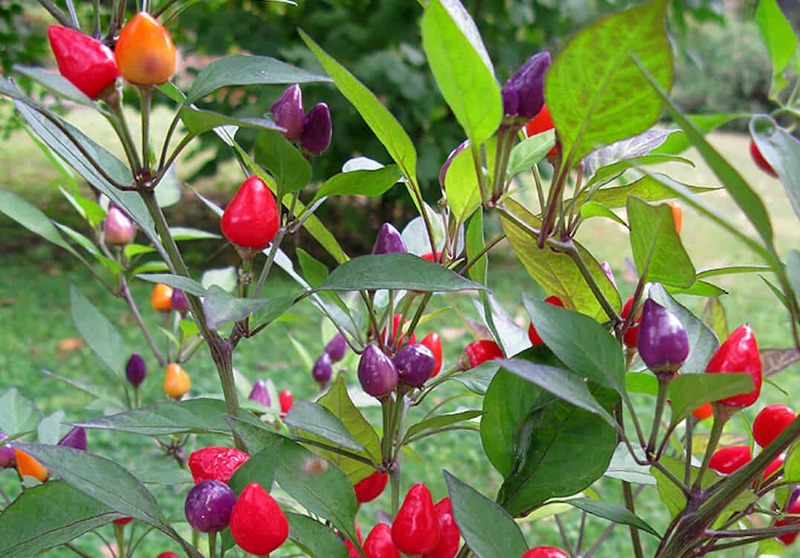 If you want to see cone-like chili shapes, check out our ornamental pepper guide than has many colorful and dramatic options. See our full pimento pepper profile here. Pimento peppers have a lovely tomato-like round shape and their heat, actually, is closer to zero than it is a jalapeño pepper. Only the most minuscule spiciness is present – barely a simmer. But the overall flavor is just delicious – a sweet, succulent taste that makes the pimento a nice bell pepper substitute for foodies looking for something different. 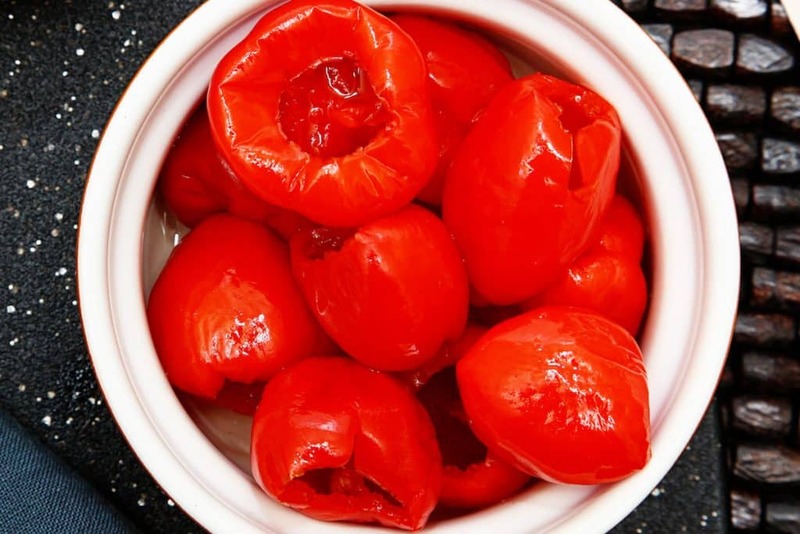 See our full Peppadew pepper profile here. With a look like a larger cherry tomato, the Peppadew is terrific for stuffing. They are typically found in supermarkets pickled, so the pepper’s sweeter flavor is typically upstaged by tanginess. Peppadews are a great appetizer chili, especially stuffed with cheese, our to their family-friendly heat. 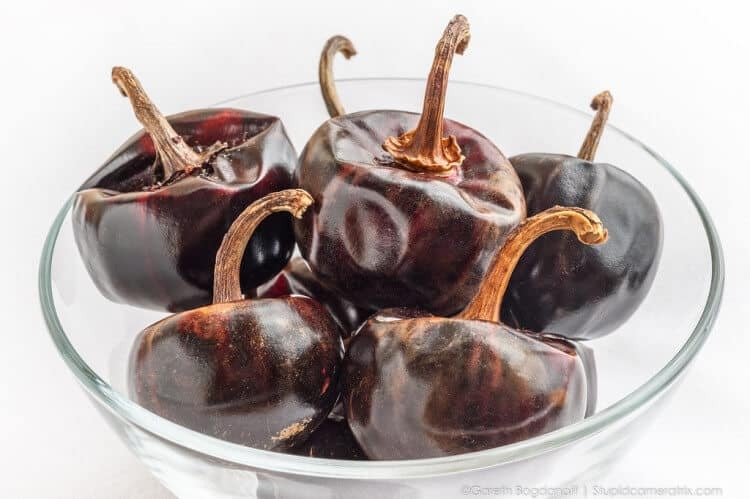 See our full cascabel pepper profile here. Cascabel peppers also go by another, more apt name for our round pepper list: chili bola which translates to “ball chili”. Cascabels have that look – ball-like whether fresh or dried (but you’ll typically find them tried). There’s an earthy, nutty flavor here which is a great pairing for more rustic cooking. The NuMex Centennial has a bulb-like appearance, like a Christmas bulb in shape. 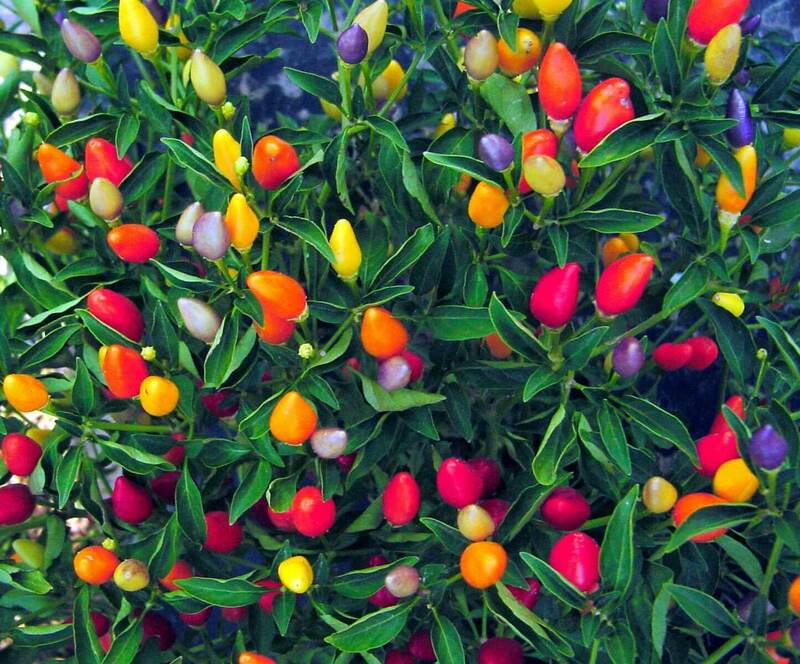 These are beautiful ornamental peppers that provide a ton of color – purples, oranges, yellows, and reds all on the same plant. There isn’t much nuance to the flavor, but that’s to be expected since the NuMex Centennial is bred to accentuate its looks, not flavor. 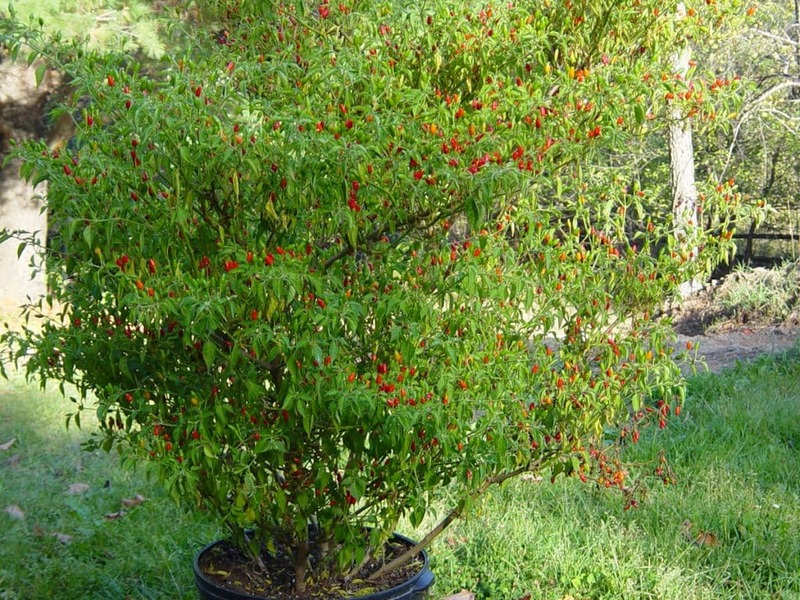 See our full Cherry Bomb pepper profile here. 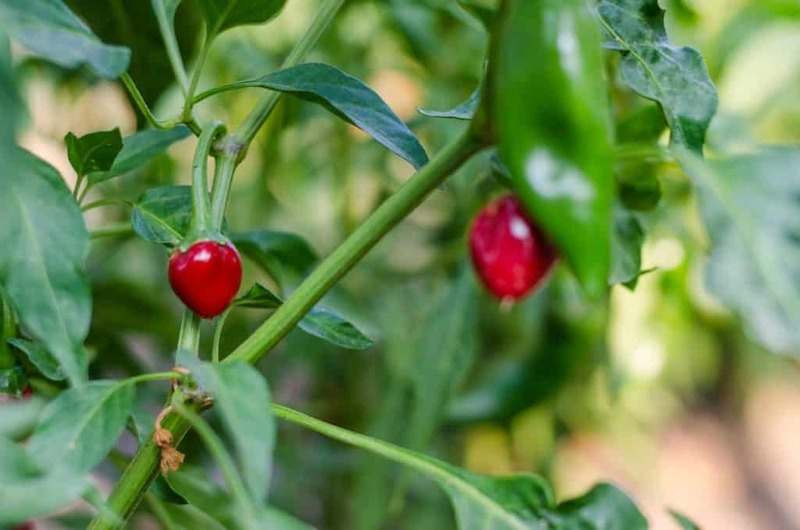 With its cherry-like round shape, the Cherry Bomb pepper is an easy in for our round peppers list. Don’t let its name fool you, though. The Cherry Bomb pepper isn’t overly hot – coming in even with milder jalapeño peppers. 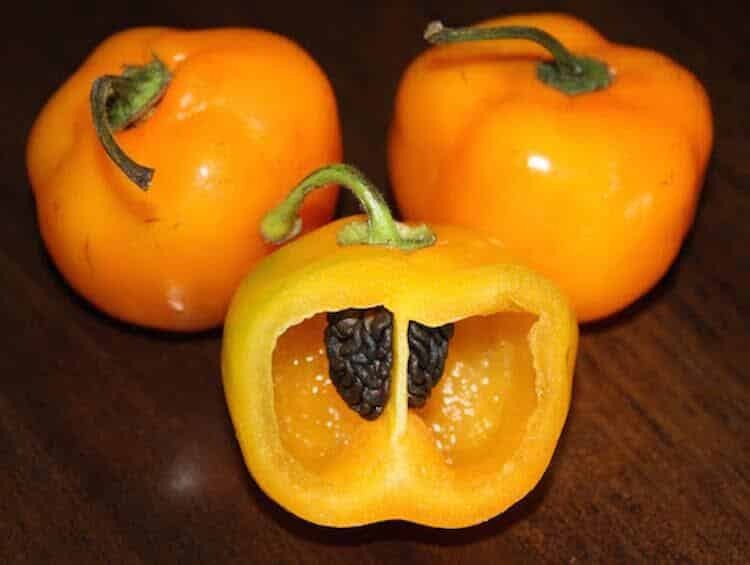 There’s a real nice flavor to this pepper, both sweet and meaty due to its thicker walls. See our full manzano pepper profile here. “Manzano” means “apple” in Spanish, and the descriptive name is spot on. The manzano pepper looks a lot like a tiny golf ball sized apple, though don’t eat it like one without being prepared for the spiciness. 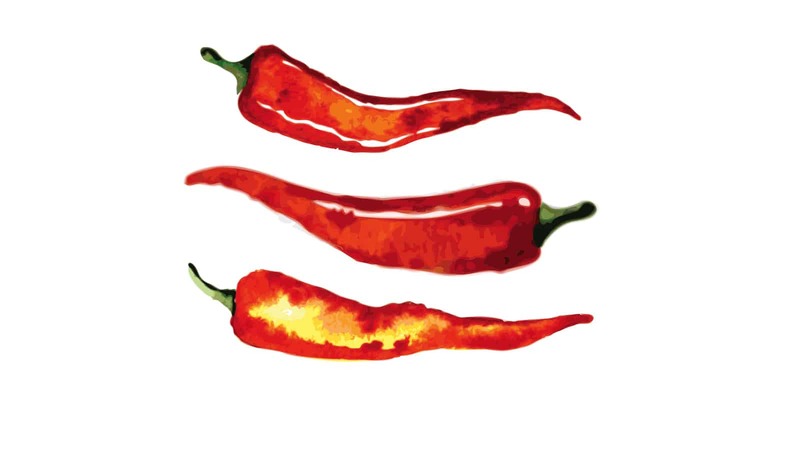 Its heat level is twice that of a typical jalapeño pepper, within the lower range of a serrano pepper. There’s a nice fruitiness to the flavor that pairs well with fruity salsas and sauces. See our full Black Pearl pepper profile here. 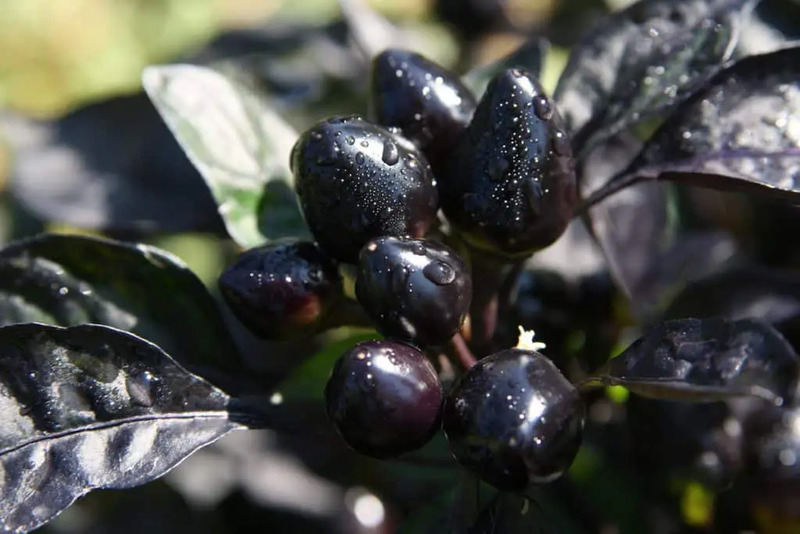 Like little black onyx marbles, the Black pearl pepper is a real ornamental chili standout. The chilies age from black to red amid darker leaves. If you’re looking for a round pepper with some drama – this is it. There’s a lot of heat here, hitting cayenne pepper level of spiciness. And you don’t buy the Black Pearl for its flavor – they are neutral peppery at best, sometimes a little bitter. See our full aji charapita pepper profile here. Forget marble-shaped, the aji charapita is more pea-shaped. These are small peppers, though their tiny presence doesn’t stop them from having big flavor. They’re fruity, near tropical in flavor like a habanero pepper, without the heat level of a habanero. The aji charapita shares the same Scoville heat range as a cayenne pepper. See our full pequin pepper profile here. Pequins, too, are tiny, less than an inch wide. They have an oval shape, rounded more like a grain of rice (they are sometimes referred to as the “rice” pepper). The pequin chili is loved for its smoky fruitiness and higher heat. They can exceed the heat of a cayenne, sometimes pushing over the border into extra hot territory. See our full dundicut pepper profile here. 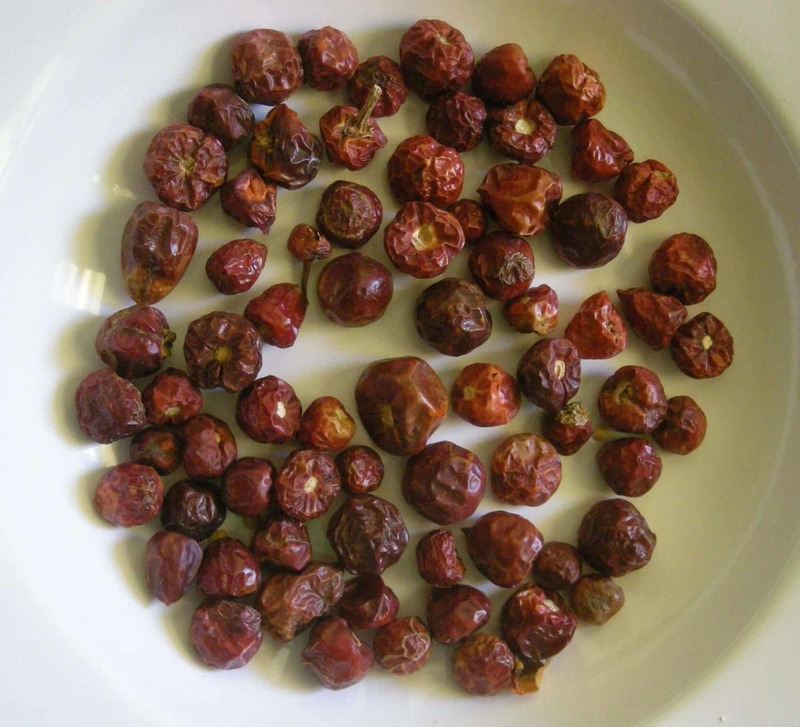 You’ll typically find the tiny and round dundicut pepper dried, and they look berry-like in this form – round and a little raisiny. They have a light fruitiness to the flavor with an edge of bitterness. The heat is certainly extra hot starting at least 5,000 Scoville heat units above a cayenne pepper. Like the NuMex Centennial the prairie fire pepper has a colorful bulb-like shape, like Christmas lights. They are also just as colorful showcasing shades of purple, orange, yellow, and red. The big differences between these two round ornamentals are the flavor and heat. The prairie fire has a a subtle sweetness that provides more flavor than most ornamental peppers have. 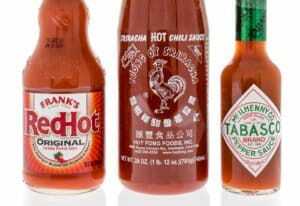 And their heat is well beyond the NuMex Centennial, closer to a habanero or Scotch bonnet than a jalapeño. 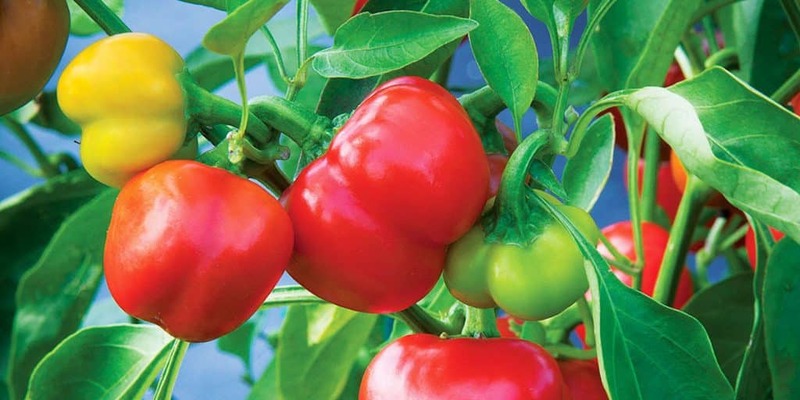 See our full rocoto pepper profile here. 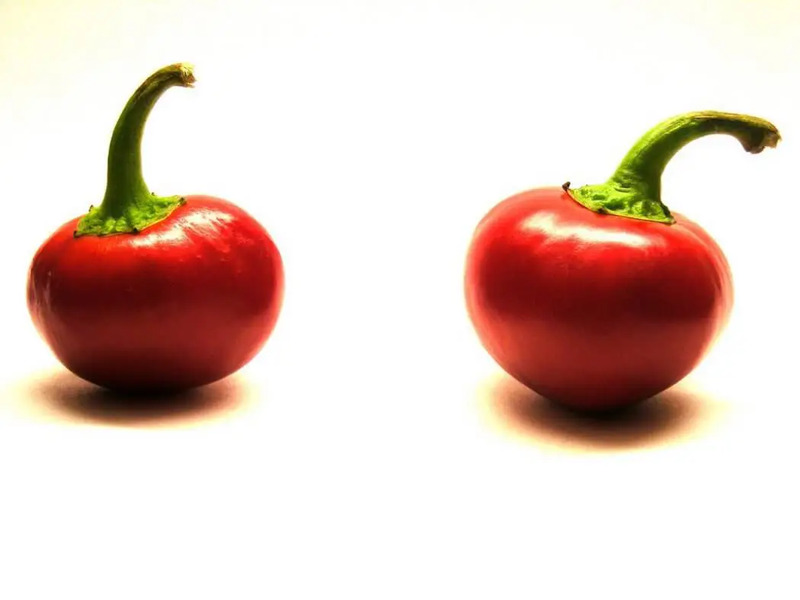 Like the manzano pepper, the rocoto pepper can take on an apple-like shape. Though, it can grow a little more elongated, sort of pear-like. 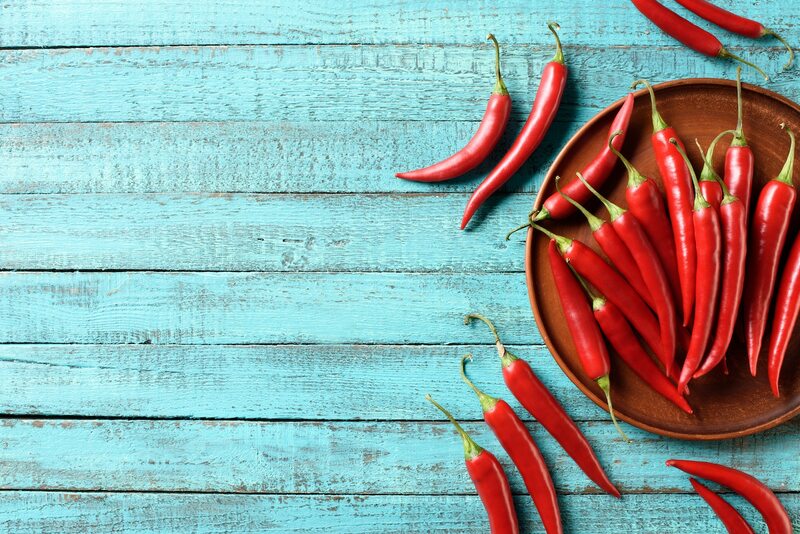 There’s a grassy, fruity flavor behind the potential for a lot of spiciness. Really, the heat range is comparatively one of the widest on the pepper scale. The het outcome can be anywhere from a mild cayenne to a mild habanero. 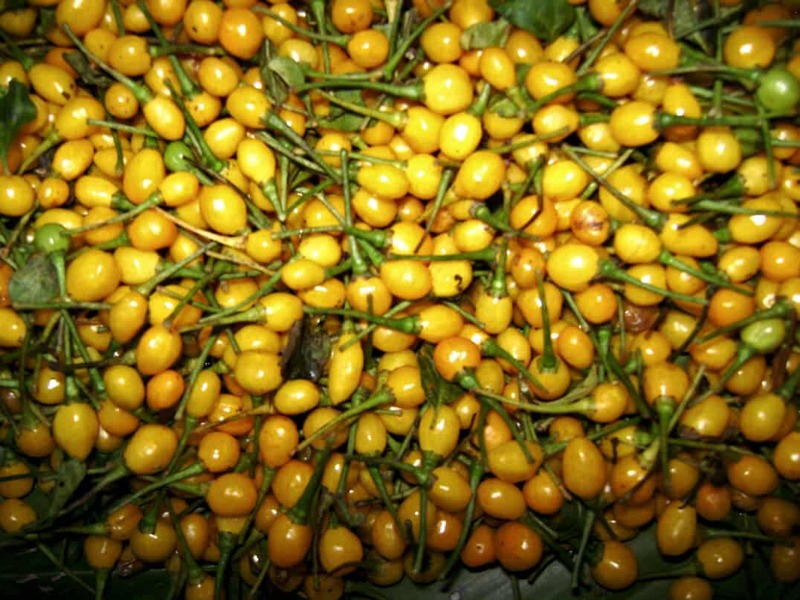 See our full chiltepin pepper profile here. Chiltepin are another pea-like round pepper. They are tiny, no more than a fourth of an inch wide. Like the pequin pepper, the chiltepin has both a smokiness and a fruitiness, but they don’t get quite as sweet as a pequin. They are, though, much hotter, nearly double the spiciness of the pequin. 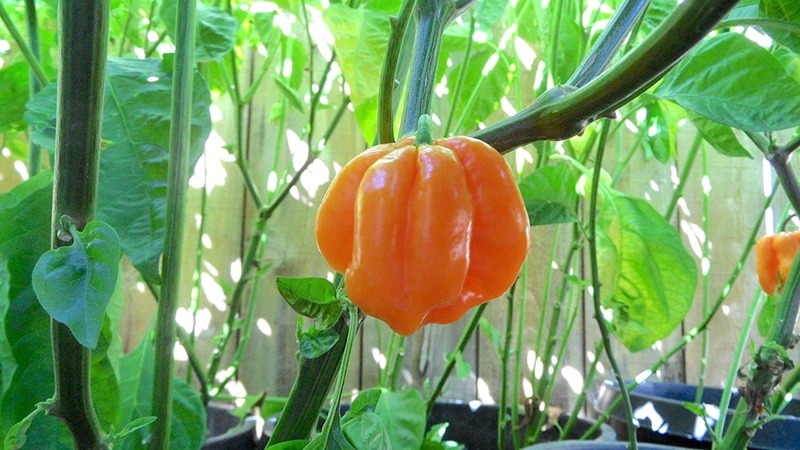 See our full Roatan pumpkin habanero profile here. That the Roatan pumpkin habanero has a pumpkin-like shape should come as no surprise. There’s plenty of big heat here, spicier than a common orange habanero nearing the level of habanero upstarts like the Red Savina. 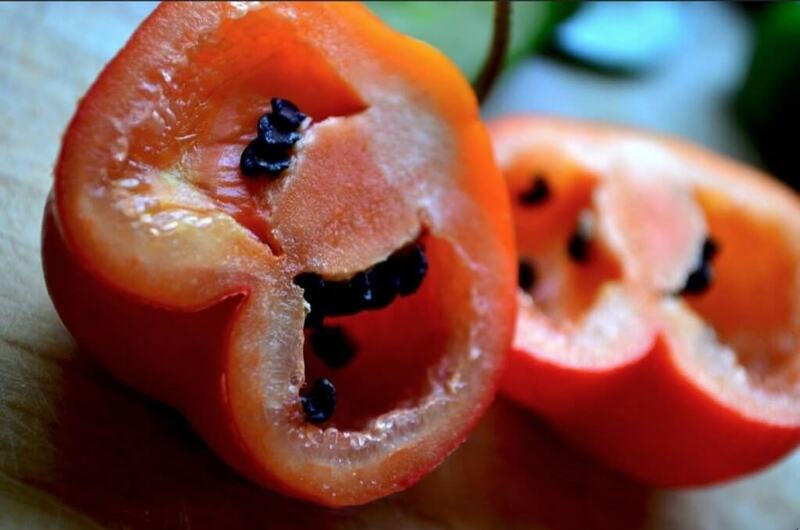 Behind the extreme heat is the tropical fruitiness for which habaneros are known. 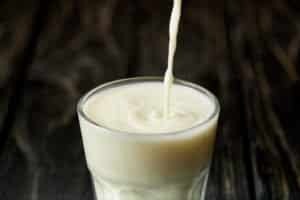 See our full Peruvian white habanero profile here. 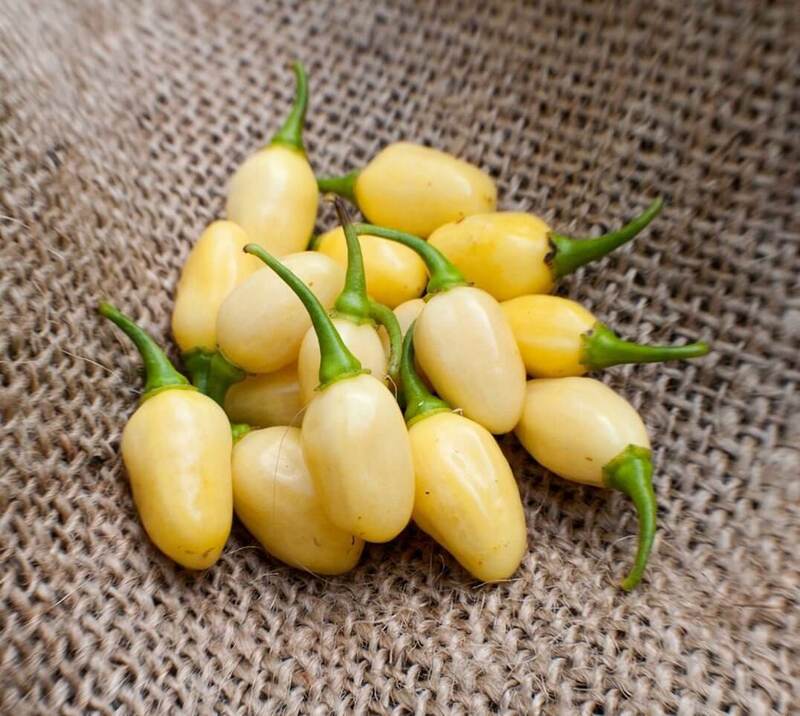 Oval-shaped like little beans, the Peruvian white habanero looks different than most other habanero types. But that’s about the only difference – the heat and flavors are the same, extreme spiciness with tropical fruitiness and a hint of smoke. 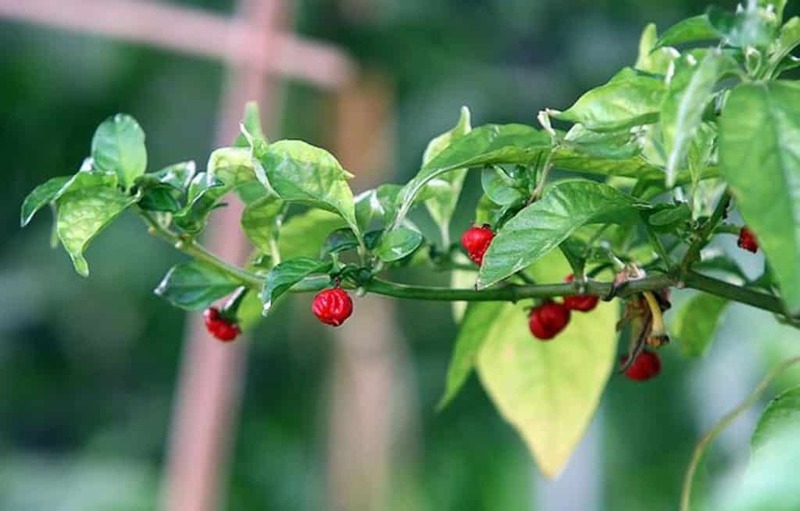 See our full wiri wiri pepper profile here. These little, round chilies may look cherry-like, but they are total mouth explosions. The wiri wiri pepper carries the same heat profile as the habanero pepper in their small package, and a similar tropical flavor as well. See our full Dragon’s Breath pepper profile here. 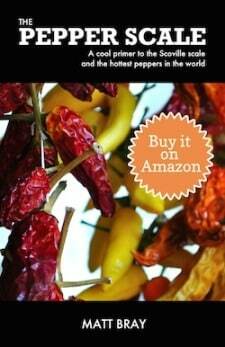 “Hotter than hell” may be the best description of the Dragon’s Breath pepper. It’s up there with the infamous Carolina Reaper pepper in terms of heat, so this is not a chili to be trifled with. The Dragon’s Breath, in fact, isn’t available for commercial use. 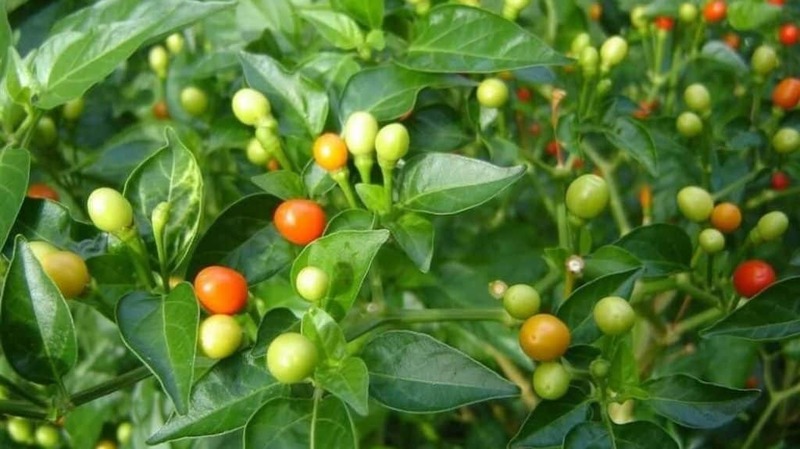 Instead the pepper is being developed for the potential medicinal properties of its high level of capsaicin (the compound that make’s peppers hot).